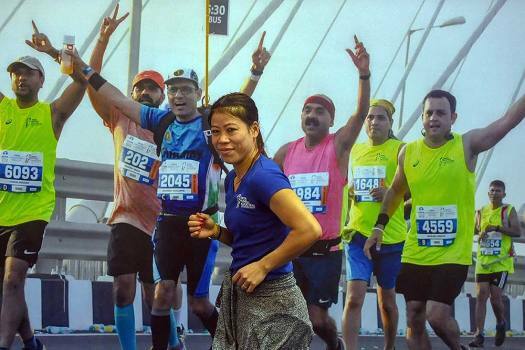 Boxer Mary Kom poses for photos during media interaction for 'TATA Mumbai marathon' press conference, in Mumbai. 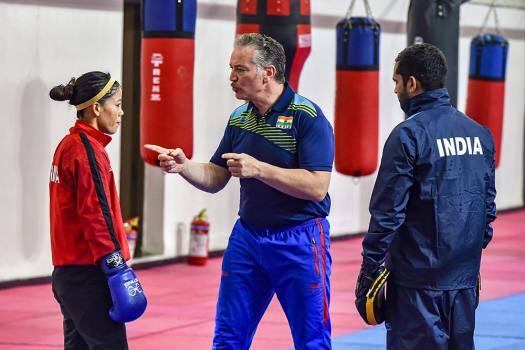 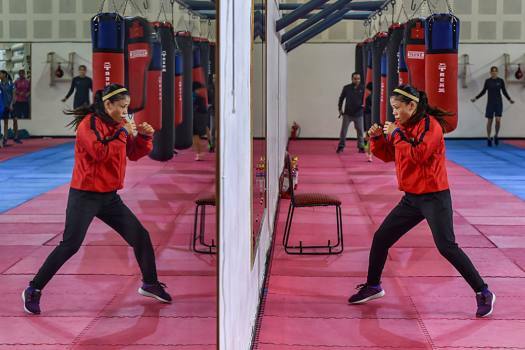 Indian boxer Mary Kom during a training session on the eve of her semi-final bout in the AIBA Women's World Boxing Championships, in New Delhi, Wednesday, Nov. 21, 2018. 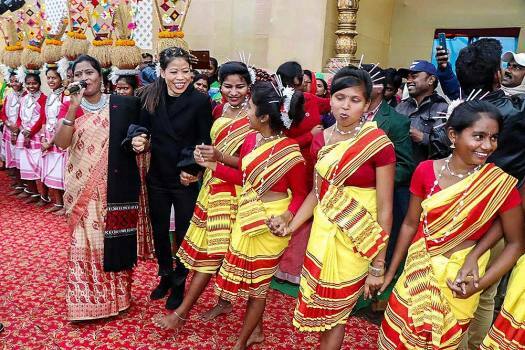 Ace boxer MC Mary Kom (in black) takes part in Gunj Mahotsav, a tribal festival, at Silli near Ranchi. 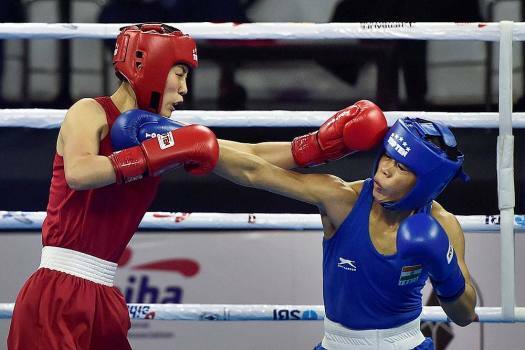 India’s Mary Kom exchanges punches with Hyang Kim of Peoples Republic of Korea in 45-48kg category during the AIBA Women's World Boxing Championships, in New Delhi. 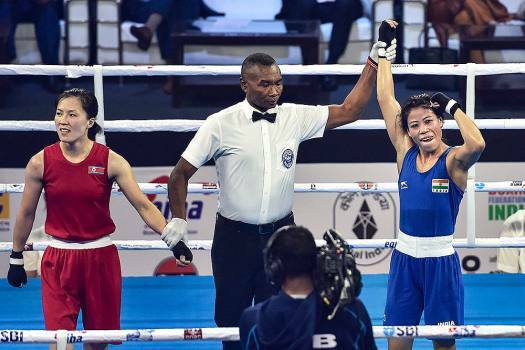 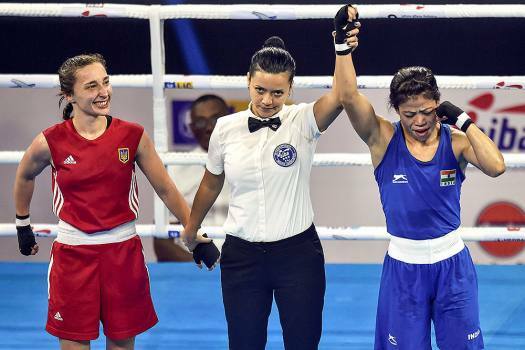 India’s Mary Kom is declared winner against Hyang Kim of Peoples Republic of Korea in 45-48kg category during the AIBA Women's World Boxing Championships, in New Delhi. 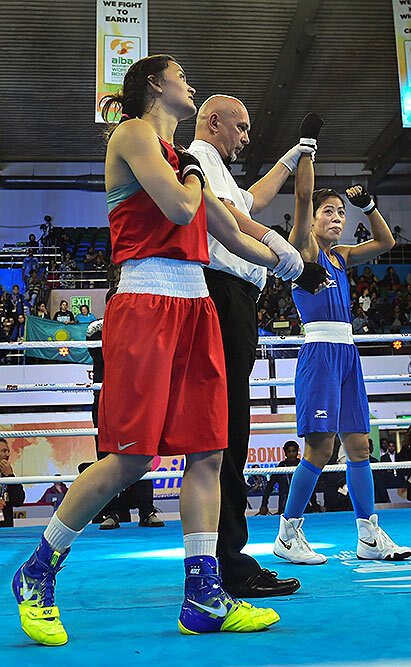 India's Mary Kom (blue) fights against Aigerim Kassenayeva of Kazakhstan in the women's light flyweight 48 kg category at AIBA Women's World Boxing Championshipos, in New Delhi. 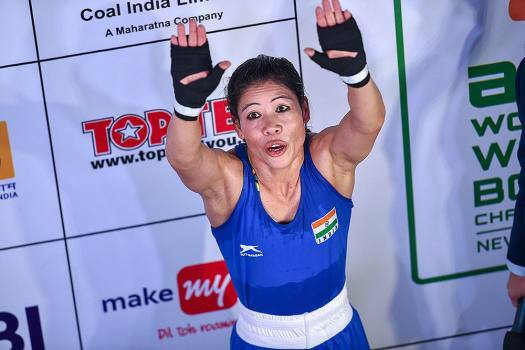 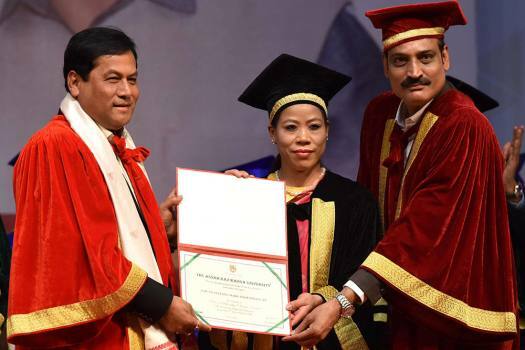 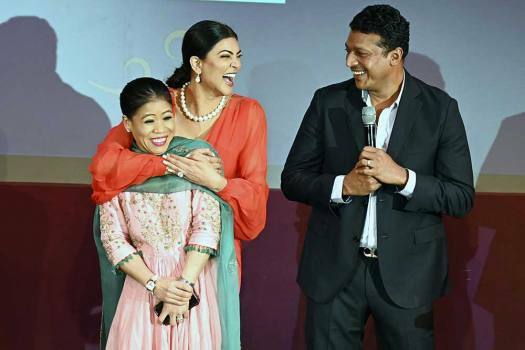 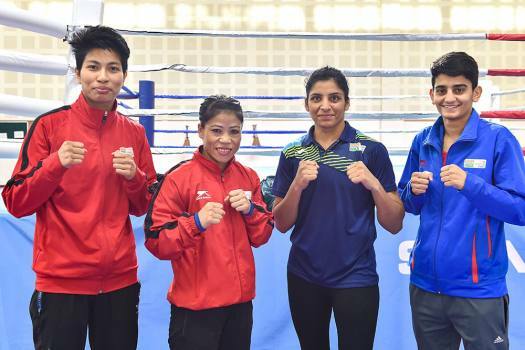 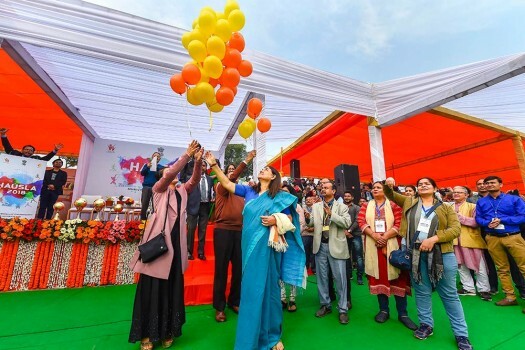 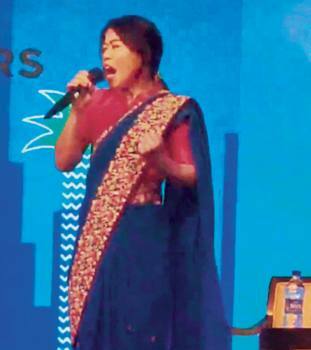 It wouldn't be wrong to call Mary Kom ageless for she was around when women's boxing took baby-steps towards going mainstream and she is still around when it gears up for an Olympic expansion in 2020. 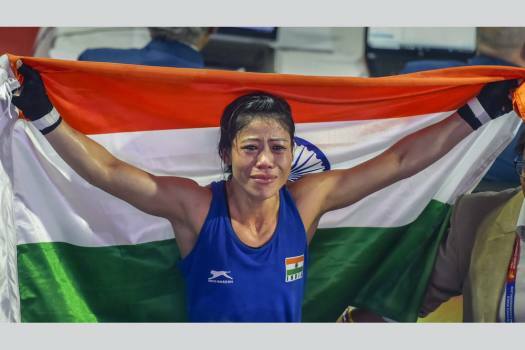 As an eventful year comes to a close, we present you with some of the best photos capturing the spirit of Indian sports. 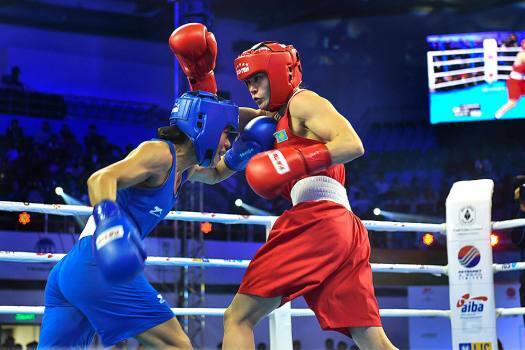 The 36-year-old mother-of-three turned back the clock for a sixth gold at the just-concluded event, in which she is unlikely to be surpassed for quite a few years to come. 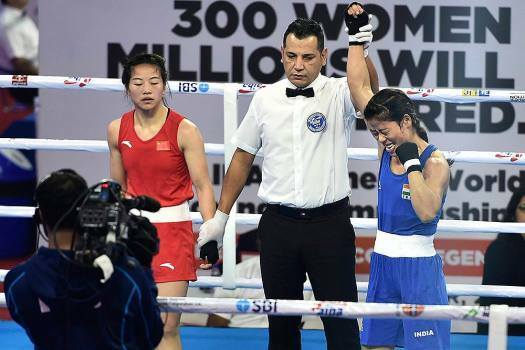 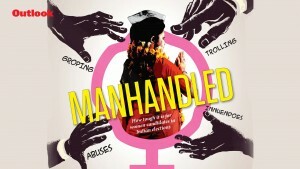 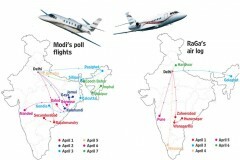 Besides being a boxer, the 35-year-old is also a political, having nominated to the Rajya Sabha. 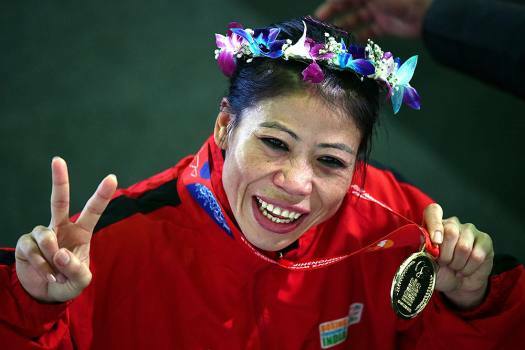 'Magnificent Mary' entered the event with a remarkable tally of five gold medals and a silver to her credit. 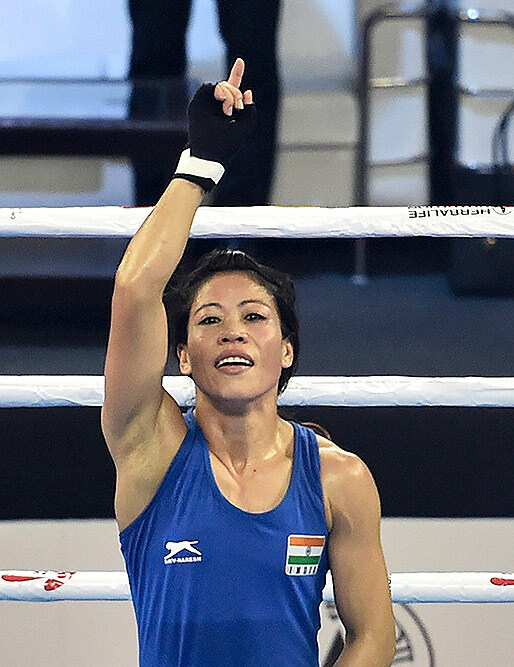 She last won a world championship medal in 2010 -- a 48kg category gold.